An administrator can create login accounts, set their password and permissions. 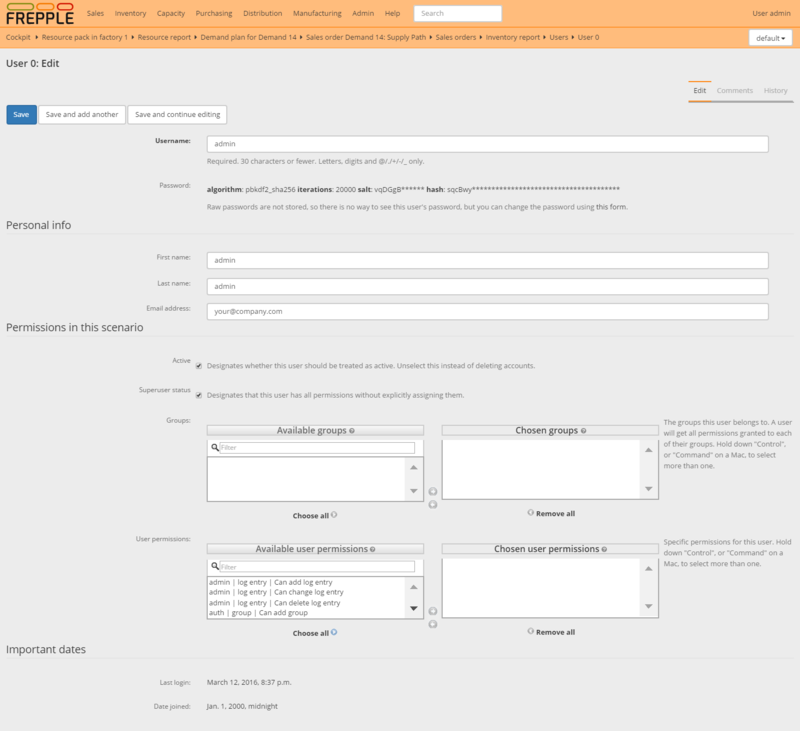 Groups are a generic way of categorizing users and apply permissions to those users. A user in a group inherits all the permissions granted to that group. A user can belong to any number of groups. The user name, email, first name, last name, password are properties that are defined system-wide. The active flag, superuser flag, assigned groups and user permissions can be defined per scenario. When the user is marked active in a scenario, the scenario will appear in the dropdown list on the top right of the screen.